When it comes to safety, you absolutely cannot compromise. Here at ScubaSafe, we believe in quality and precision. That's why we have invested in training and certification by manufacturers above and industry bodies left. 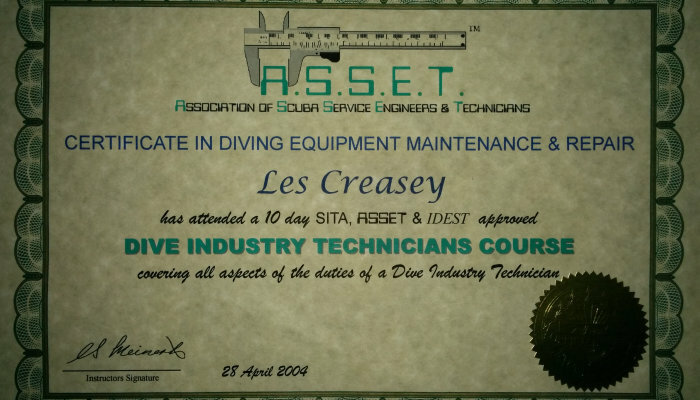 Anyone who services or maintains SCUBA gear should be properly trained and certified. 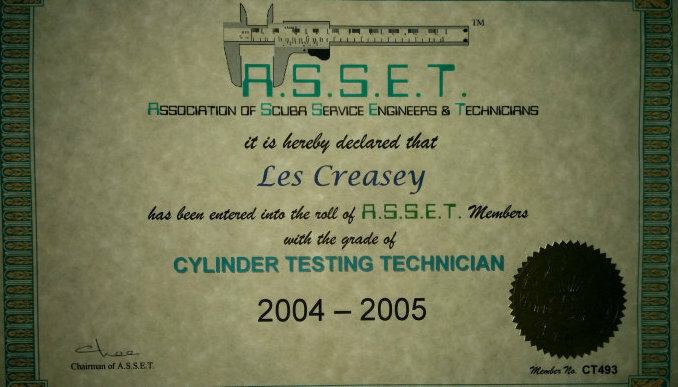 ScubaSafe is proud to be trained and certified by the world's most recognised body for Scuba Technicians, A.S.S.E.T. 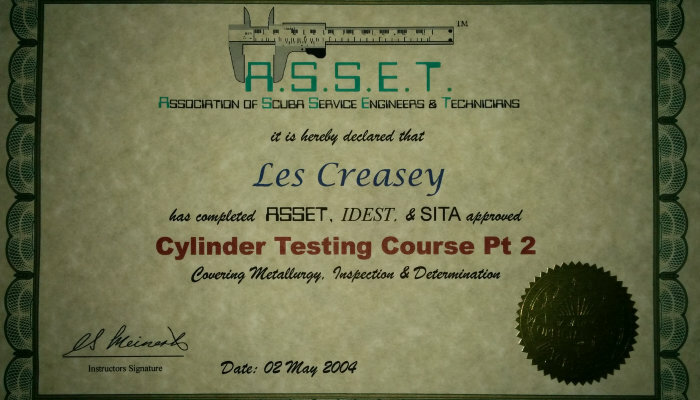 As an A.S.S.E.T. 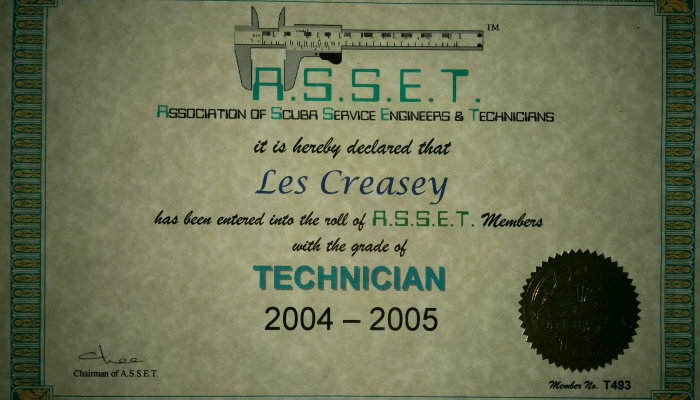 member, we have access to the world's largest database of scuba technical information and with over 20 years experience in equipment maintenance, we can offer servicing on the vast majority of equipment manufactured in the last 20 years. Before you let anyone tamper with your SCUBA gear, ask them one question, 'what qualifications do you have?' After all, you're putting your life in their hands! With ScubaSafe, you can be assured of the highest quality, without having to pay through the nose either! You can find prices for most of our services here and if you don't see what you're looking for, just contact us. Most of our business comes from customer referrals, so don't just take our word for it, check out what some of our customers have said below & contact us for a free consultation before you decide. ScubaSafe is based in Kincumber on the New South Wales Central Coast. Conveniently, 10 minutes from both Terrigal & Avoca beaches, home of the Ex-HMAS Adelaide artificial reef. Business hours are 9am-5pm AEST Monday to Friday. Fantastic service, very quick, very thorough and above all the quality and care is fantastic. I have so much confidence that my regs are set up correctly. Nothing is too much trouble. I would recommend ScubaSafe to anyone. 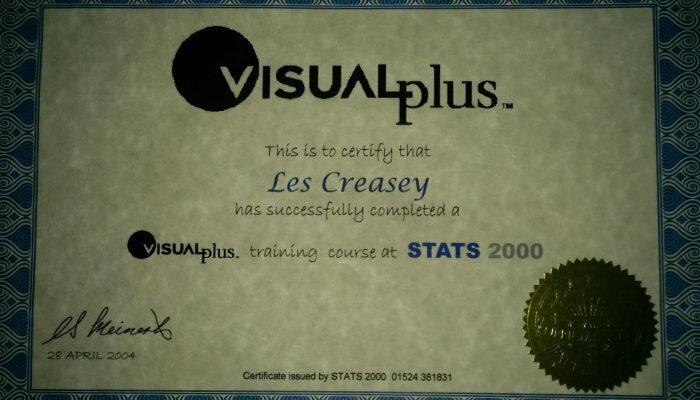 Thanks Les! Have been acquainted and used ScubaSafe for all my scuba servicing and repairs for several years. 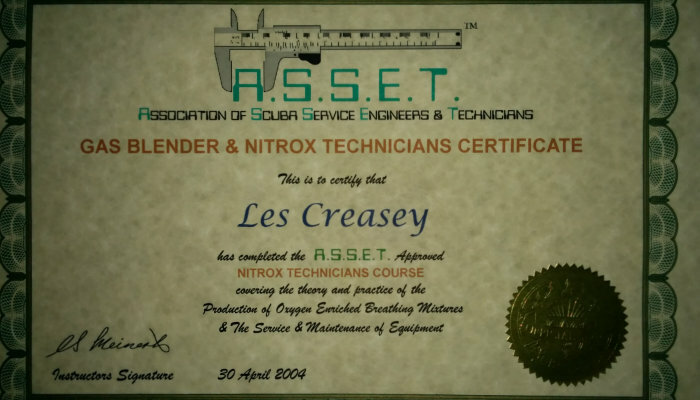 I was instructed by Les in the art of regulator servicing so I could service my own regs I now do part time work at a leading Scuba store. Have known Les of ScubaSafe for a long time when we were both living in the UK He is very knowledgeable on everything scuba and I would not hesitate recommending his services in this field. Know's his stuff and is good! I have been servicing my own regs for several years now and have always ended up having to source my service kits from overseas. However, this year Les at Scubasafe came to my rescue, by providing me with everything I need from a local source at a competitive price. Les will certainly be my first port of call for spare parts in the future. Thanks agian for the tank service Les. As usual, fast, efficient & thorough! Thanks for supplying & fitting the DIN on my Mares reg, smaller & lighter for my dive trips now. Use the form below to share your feedback about our service! We appreciate your support!